Sometimes a trip to the office takes you farther than just across town. For those overnighters, you need a bag that provides sufficient room for your clothes and toiletries, a lightweight frame for travel, and has the striking good looks of a business briefcase. 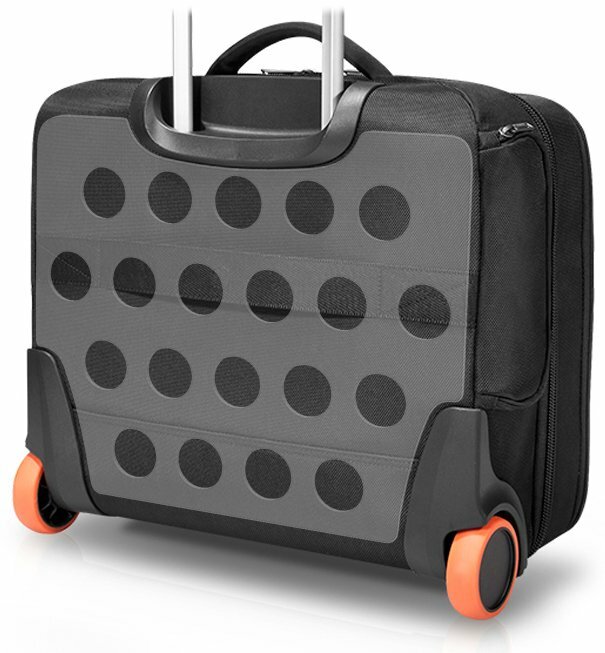 Look no further than the Journey Laptop Trolley. 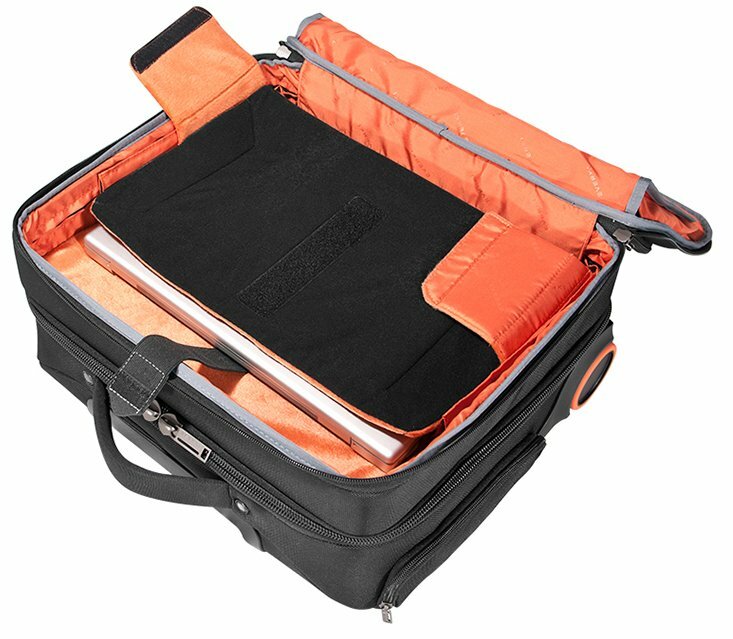 This bag packages innovative and convenient features in a wheeled laptop carry-on, and still maintains the professional, business-ready look of a briefcase. Premium leather accents make its aesthetics as slick as its performance while the Journey does double-duty as a briefcase and suitcase, making it a hard-working solution for your short business trips. Itís the perfect travel solution for almost any journey. 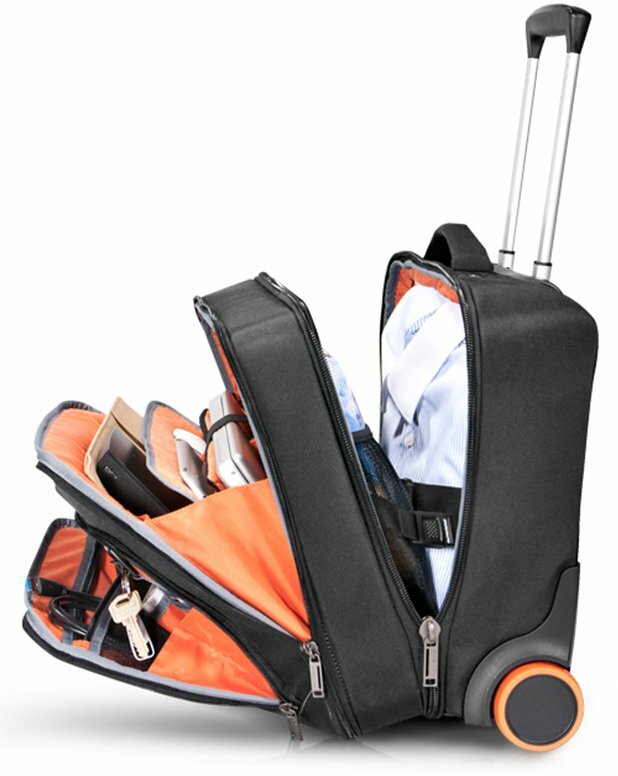 With three spaces for laptop, iPad/Kindle and phone or other smaller device, the Journey Laptop Trolley provides protection for all of your technology; and the fully adjustable laptop pocket secures an 11-inch up to a 16-inch laptop, and anything in between. But the Journey isnít just for electronics; weíve designed this briefcase to take care of all your business travel needs. Thereís a separate, roomy compartment to pack up to two dayís clothes and toiletries, and eliminates the need for an additional suitcase. 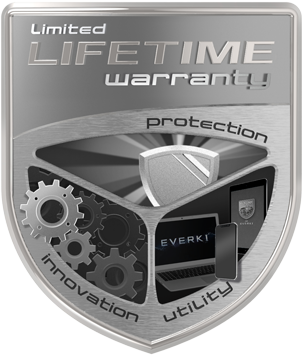 Youíll find a magnetic, quick access pocket, a partitioned file organizer that keeps delicate documents safe, flat and in place, and sturdy, low-profile wheels for a smooth, quiet ride through the airport or into the office. When youíre looking for the best bag to get you and all your devices to the next destination, you want added features, not added weight. With the Journey, weíve eliminated all the unnecessary bulk without skimping on functionality, organization or style. The sturdy aluminum trolley system and hollow frame construction reduce weight without sacrificing quality or durability; and the sturdy sidewall construction keeps the profile from becoming bulky. 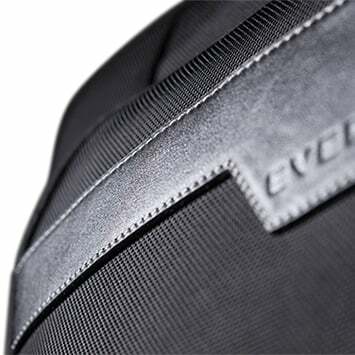 And because itís so lightweight, you can maximize the gear you pack and still use the Journey as a carry on. It fits overhead or under your seat. 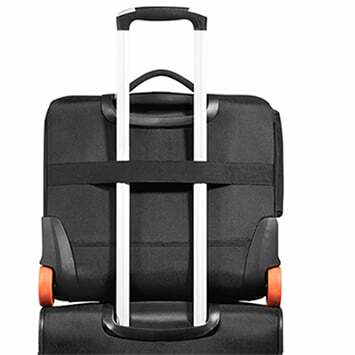 The Journey Laptop Trolley does double duty with a spacious rear compartment thatís large enough to pack a couple of daysí worth of clothing, accessories and toiletries. 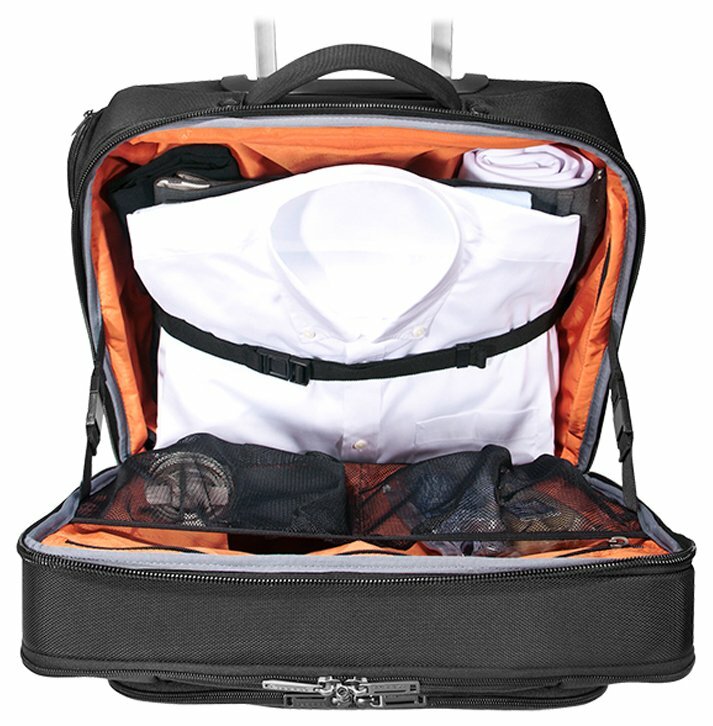 Not only does the Journey keep your clothing neat and strapped in, but youíll also find a large zippered pocket and two mesh pockets to keep additional traveling essentials organized within the clothing compartment. And, you wonít have to worry when you take the Journey into your business meeting ñ the clothing compartment is completely self-contained and separate from the business compartment, giving you complete access to your laptop and files without airing any laundry. 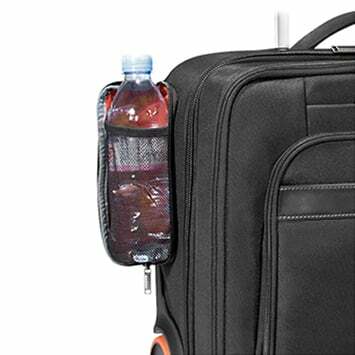 External pockets are handy for easily accessing your water, but can sometimes be unsightly. Thatís why we designed the external water bottle pocket on the Journey with a full zipper to keep the pocket flush when itís not being used. Accessible, yet discreet. The Journey features a quick-access magazine slot on the front of the briefcase. 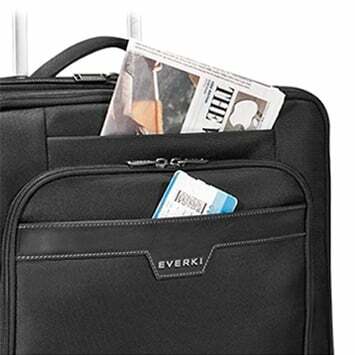 The magnetic closure allows you to slip your reading material in the slot when boarding, and quickly retrieve it again when youíre seated. The Journey ñ brimming with thoughtful details. When traveling with many bags, the trolley handle pass-through on the back of the Journey allows you to double your efforts. 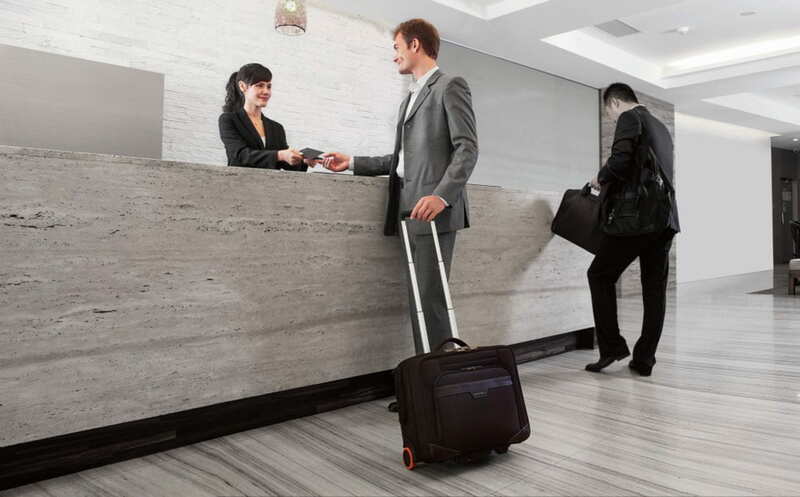 Simply slip the Journey onto the handle of your luggage and youíre ready to wheel through the airport.